We’ve all heard someone on television declare who the winner of a certain game will be, only to see that team crumble in the final moments to prove them wrong. But whatever. 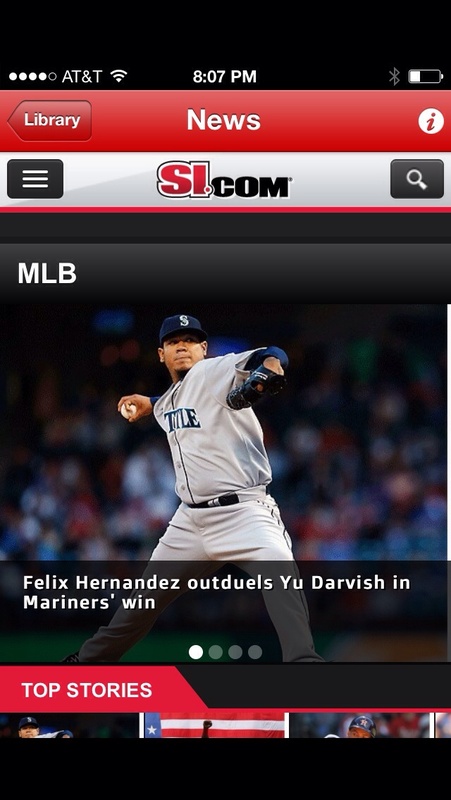 What’s more important to SI.com is not declaring which team won the game, but, rather, King Felix pitched better than Yu Darvish. That’s the main point the reader is supposed to draw. On an “off” night, Darvish pitched 7 innings, allowing 2 ER on 7 hits, with 8 Ks and 2 BBs. On an off night. Felix Hernandez went 7.0 innings plus a Leonys Martin leadoff triple in the 8th, allowing only him to score on 4 hits, striking out 9 and issuing only one free pass. 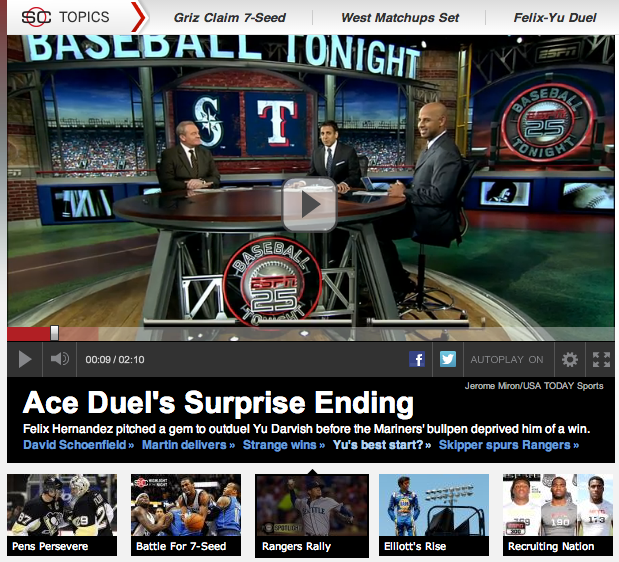 So, if a 2-1 game in the 8th inning is out-dueling, well, okay I guess. Felix Hernandez pitched a gem to outduel Yu Darvish before the Mariners’ bullpen deprived him of a win. What is the bigger issue? Well, the truth is, I’m not sure. We could take it all the way back to how short attention spans are in 2014; we have fast food and Twitter, Facebook and Instagram… and everything is specialized to fit our needs. People want to quickly consume information, then turn around and discard it even quicker through analysis that’s black and white, and easy to process. Whenever a trade goes down, baseball writers and television personalities flood to their keyboards and studio desks, ready to break down who the definitive winner and loser of the trade was. And we’re all guilty of it to varying degrees. Because who cares who won the baseball game? All we care about is how Felix Hernandez pitched better than Yu Darvish did, because for some obscure reason that’s supposed to say something about Felix Hernandez and/or Yu Darvish. It’s boring if we only acknowledge that, yes, Felix and Yu are two of the best starting pitchers in MLB and, yeah, they both pitched pretty damn well on Wednesday night when they squared off against each other. No. Instead, we have to say who the winner was — even though his team lost. I can only imagine what some of the headlines would have looked like had the Mariners actually won 2-1… then we would most likely hear about how Yu Darvish still isn’t on King Felix’s level, how he’s not a “big-game” pitcher, and how he lacks some sort of [insert ridiculous intangible] and ipso facto he still isn’t a winner. It’s 2014. We’re living in the age of wisdom and still I carry the hopeless feeling that what we see on television and on our little computer screens will continue to grow simpler and simpler, appealing more and more to the lowest common denominator. I wish it were different, but I’m afraid since we’ve already come this far, it can logically only keep deteriorating from here.